Ellen Ugelvik concentrates on discovering and performing new works by contemporary composers. Ugelvik works as a soloist and chamber musician in Europe, USA and Asia. She has been invited to festivals such as Donaueschinger Musiktage, Internationalen Ferienkurse für Neue Musik Darmstadt, Tasten – Berliner Klaviertage, Huddersfield contemporary music festival, Ultraschall, Tzlil Meudcan, Gaudeamus, Kammer Klang, Musikhøst, Rainy Days, ECLAT, De Suite Muziekweek, Angelica Festival, Kwadrofonik Festival, Nordic Music Days, Musik der Jahrhunderte; Südseite Nachts, Monday Evening Concerts, Risør festival of chamber music, Ultima contemporary music festival, Borealis, Happy Days and Ilios. She collaborates with composers like Helmut Lachenmann, Carola Bauckholdt, George Crumb, Simon Steen-Andersen, Mathias Spahlinger, Claus-Steffen Mahnkopf, Michael Finnissy, Clemens Gadenstätter, Dai Fujikura, Magne Hegdal, Therese Birkelund Ulvo, Trond Reinholdtsen, Christian Blom, Bente Leiknes Thorsen and Øyvind Torvund. Her commitment to contemporary music is widely recognised. She was acclaimed 'Performer of the year 2016' by The Norwegian Society of Composers'. In the periods 2008-2011 and 2017-2020 she received a state grant for performing artists, one of the most coveted awards in Norway. Ugelvik completed a research project at the Norwegian Academy of Music in 2017 focusing on the soloist's role in contemporary piano concerti. The project contained premieres of five new piano concerti. In October she will lead a new research project Performing Precarity in cooperation with international artists, composers and institutions. 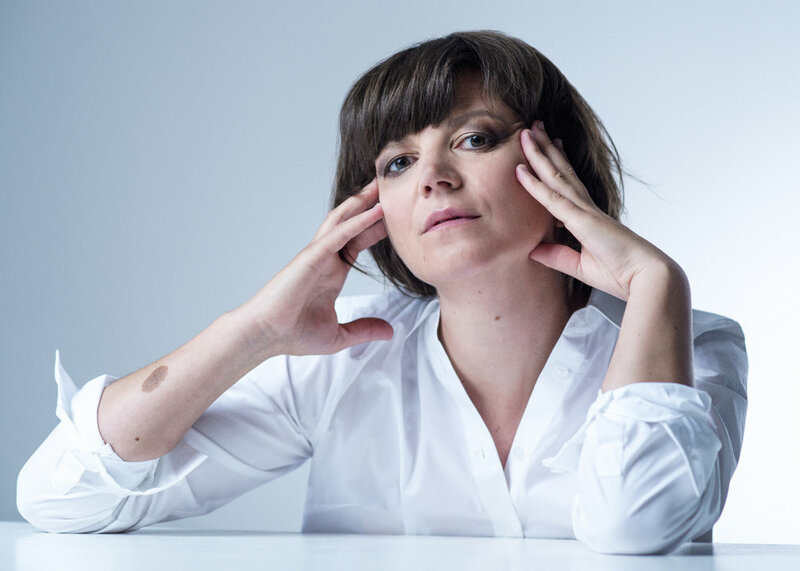 She has performed as a soloist with the most important orchestras and ensembles in Norway such as Oslo Philharmonic Orchestra, Bergen Philharmonic Orchestra, The Norwegian Radio Orchestra, Oslo Sinfonietta and Risør Chamber Orchestra. She is a member of the ensembles asamisimasa, Jagerflygel and Polygon. Her first solo "Makrokosmos" album was rewarded with the Norwegian Grammy in 2008. She also won two Norwegian Grammies with her ensemble asamisimasa for the albums ”Pretty sound” with music by Simon Steen-Andersen and "asamisimasa plays the music by Øyvind Torvund". Ugelvik has studied with Håkon Austbø at the Conservatorium van Amsterdam, Steffen Schleiermacher at the Hochschule für Musik und Theater, Leipzig and Einar Røttingen at the Grieg Academy in Bergen. From 2018 she is employed as a researcher at the NordART center for artistic research at the Norwegian Academy of Music.